Well, hello there. Yes, I am having a good summer, thank you, now that the monsoons have FINALLY stopped! The garden is very appreciative of the sun as well, as you can see from this photo of last night’s sugar snap pea harvest. On a whim, I decided to shoot them on our front steps. I was happily snapping away at the sugar snaps when a couple of friends on their way to dinner at one of our neighbors’ stopped to see what I was up to. This is one reason I love our neighborhood. People we know and like are often wandering around and stopping by to chat. 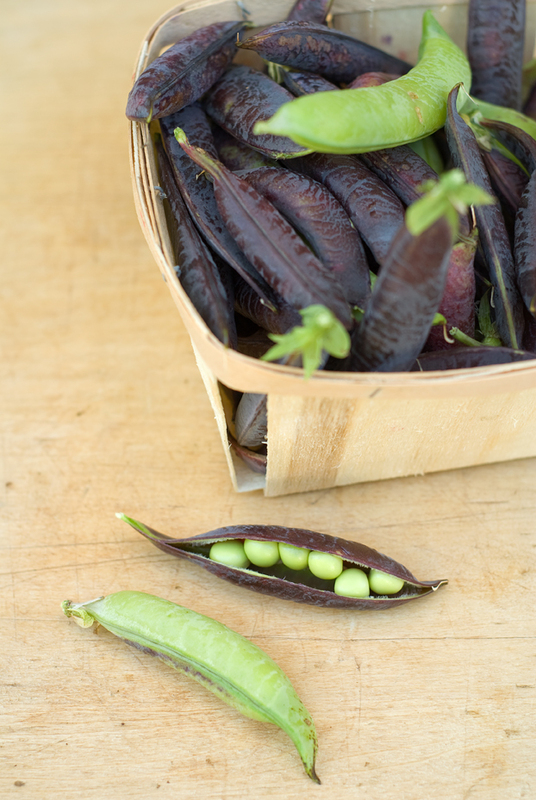 After a few pleasantries one of them said “Oh, we have some peas from OUR garden with us.” Out of a bag she pulled these. Aren’t they the most beautiful things ever? My jaw dropped when I saw them. Yes, I get excited about pretty vegetables! Suddenly my bright green sugar snaps were not so interesting. I had to work quickly because their peas were destined for the dinner table, but I pretty much invited myself over to their garden to steal some more because I am not done with these treasures yet. Not sure how they taste, but I have a feeling they’re delicious. And even if they’re not, they win the beauty contest hands down. (I’ll admit it, as a visual person, I can be shallow when it comes to food and good looks.) My friends say they can be acquired from Seed Savers Exchange if you want some of your own next year. Just keep a close eye on them if you live in my neighborhood; I might steal them when you’re not looking. 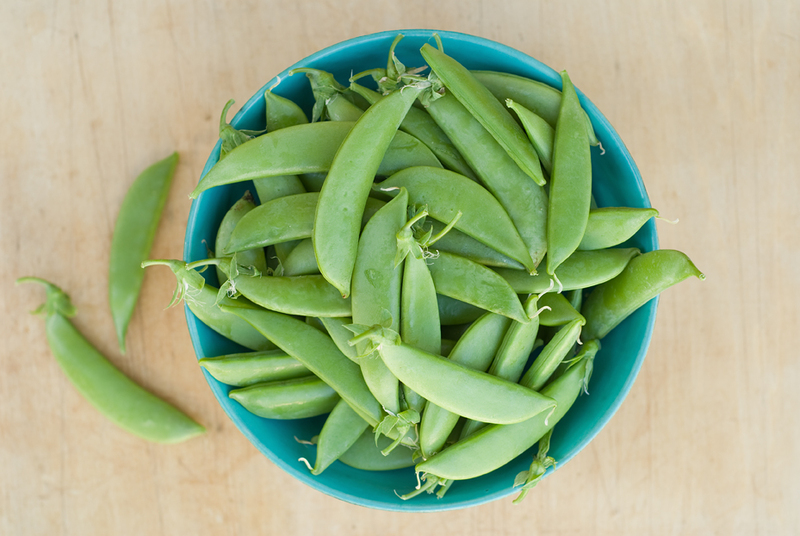 This entry was posted in food and tagged food photography, Seed Savers Exchange, sugar snap peas on July 20, 2009 by Stacey Cramp. The pictures came out GREAT! Glad we could help inspire you….and yes, they were yummy. Oh good, glad to hear they were tasty too. You might see me tip toeing around your garden in the next few weeks!